Motorola is reportedly planning to release a spinoff version of the gargantuan Nexus 6 as part of its regular lineup of smartphones. According to murmurs out of DroidForums, the device will fit in with Motorola's lauded family of Moto X and Moto G devices, and actually come with specs that are even better than those found in the Nexus 6. The rumor, if true, will give Motorola a trio of really terrific phones: Moto X, Moto G and whatever the company decides to brand the Nexus 6 as. Smart money is on Moto S.
When the device hits, it'll supposedly come with the same 5.9-inch QHD display found in Google's new big phone, along with the next generation Snapdragon 810 processor, which will take advantage of Lollipop's fancy new 64-bit capabilities. But that's just the start. Sources also claim the device will include 4GB of RAM, and an enormous 4,000mAh battery, up from the Nexus 6's 3220mAh battery and even besting the Turbo's 3900mAh. 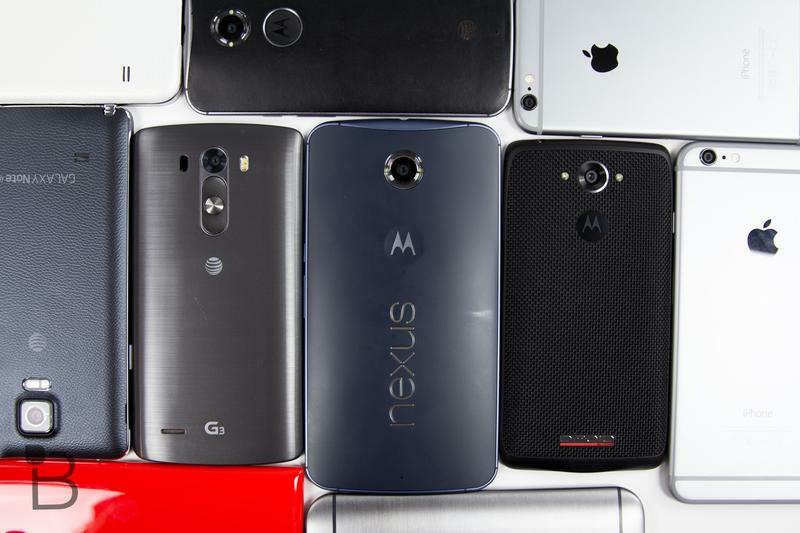 Just imagine the Nexus 6 as it is now, but even more beastly. Yeah, awesome. Motorola already has a proven lineup of devices, and the upcoming Nexus 6 spinoff could prove to be its most exciting yet. Of course, for anyone who prefers something more manageable in size, the Moto X will still be available, while the Moto G will be offered as a more affordable alternative. The rumor certainly sounds plausible, but just because it sounds good doesn't mean it'll pan out. In any case, the phone isn't expected to be available until at least mid-2015, so we still have a long ways to go before anything official drops. I'm sure by then we'll hear plenty more about this supposed Nexus 6 spinoff. I just wonder how Motorola plans on marketing this device when it's sharing the same shelf space as the Nexus 6 at carrier stores. It's worth noting that the supposed "leaker" of this information says there's a chance the device could be part of Verizon's DROID lineup. Either way, it sounds like a Nexus 6 spinoff is very much in the cards.